Let’s be honest. Pennsylvania is not the most popular state. For most thru-hikers, it ranks 14th out of the 14 states they pass through, and it is the most commonly skipped portion of trail. If the Appalachian Trail were high school, New York and New Jersey would dump pig’s blood on PA after Virginia innocuously asked it to prom. The Pennsylvania trail virgins may be wondering why there is so much hatred for the Keystone state. 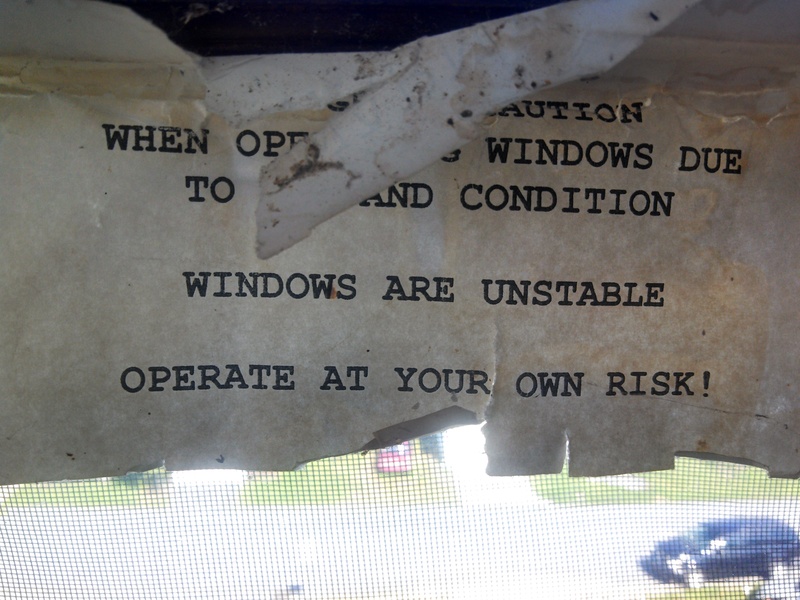 The main problem with Pennsylvania, in my experience, is that everything tries to kill you. 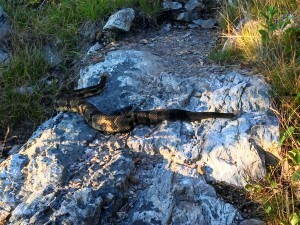 A lot of hikers take this fairly personally, being as attached to their lives as they are. 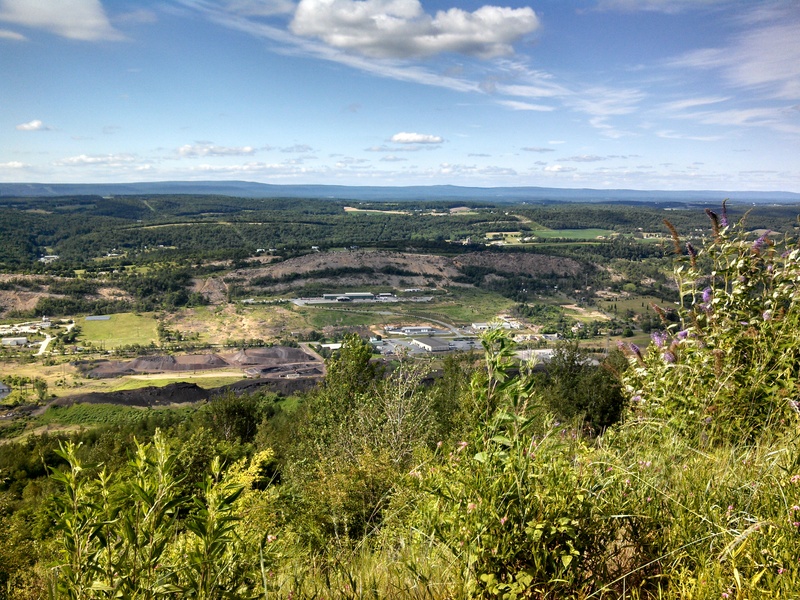 The Northern part of Pennsylvania’s trail is built along what can be modestly referred to as a broken slag pile. It is a heaping spine of boulders and rocks, devoid of almost all binding soil, that you have to navigate precariously over while hiking. As far as broken ankles go, it is a veritable cartilage graveyard. 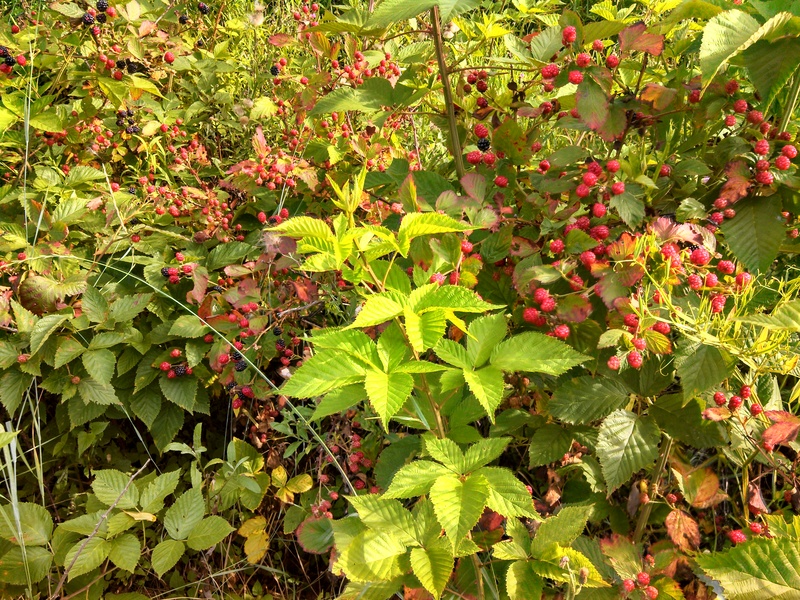 Thick underbrush often hides the rocky obstacle field, raising your chances of tripping and falling into the aforementioned flora, which is appropriately comprised of thorny brambles and poison ivy. 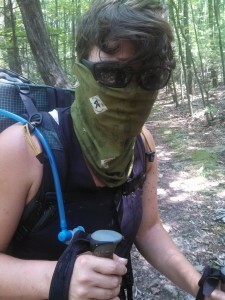 To make matters worse, most thru-hikers reach PA during the hottest time of year and fry on the low elevation ridges where exposed rocks cook them from below and the bright, cloudless sky burns them from above. This would be easier to bear if water were in high supply but most of the water for PA is located between five hundred and one thousand vertical feet below the trail down perilous side trails. If you should be so lucky as to survive the odd ladders and steps leading down to the water source, you will usually discover that it is dry or so noxious as to be nearly undrinkable. You might be wondering about the type of fauna that is drawn to this environment. It is everyone’s favorite nightmare menagerie of entomological stingers and biblical black sheep! 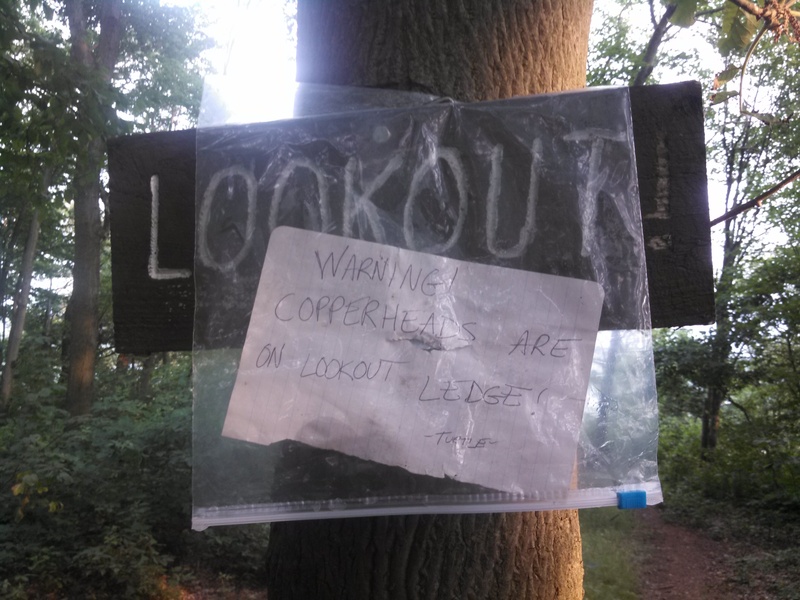 Hiding in that rocky hotbed that masquerades as a trail you will find timber rattlers, copperheads, wasps, hornets, bees, and every kind of spider you can imagine. Vastly outnumbering the spiders by some biological miscalculation are tiny water-seeking gnats that will crawl in your eyes and mouth while you hike. Bug control option 2 gives you a pile of leaves for a head. 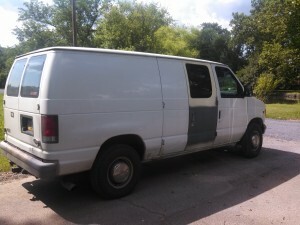 This also works for scaring children. After all of this perseverance, you would hope for at least a comparable vista. But unlike the murderous White Mountains of NH, the Pennsylvania AT is famous for offering almost no views. Poisonous snakes are often drawn to apples, Egyptian Goddesses, and natural beauty. It does not require an oracle to discern why Pennsylvania is unpopular. But hold on a minute. Let’s stop and consider other unpopular characters in history. Without a little suffering, what would we compare our elation to? If states have personalities, PA is simultaneously disgruntled, eccentric, and interesting. For all our complaints, it kept us on the edge of our seat. And without those edgy characters to ruffle our feathers, wouldn’t the trail, our own groups of friends, and even life itself be a little… boring? PA is anything but boring. PA is the Groucho Marx of comedy, tapping its cigar ash on your new divan. It is Rizzo to the Pink Ladies, the Mighty Ducks to fictional hockey, the Buffalo Bills to football. Who are we to lambast the underdog of the AT? The underdog has a lot of heart wrapped up in a tough exterior. They have personality. They have hutzpah. They have character. This intersection is overflowing with character. Anyone can write an angry diatribe, but what does it really accomplish? 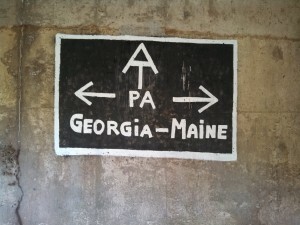 Is there any Southbound thru-hiker who hasn’t heard Pennsylvania’s name dragged through the mud from Maine to New Jersey? 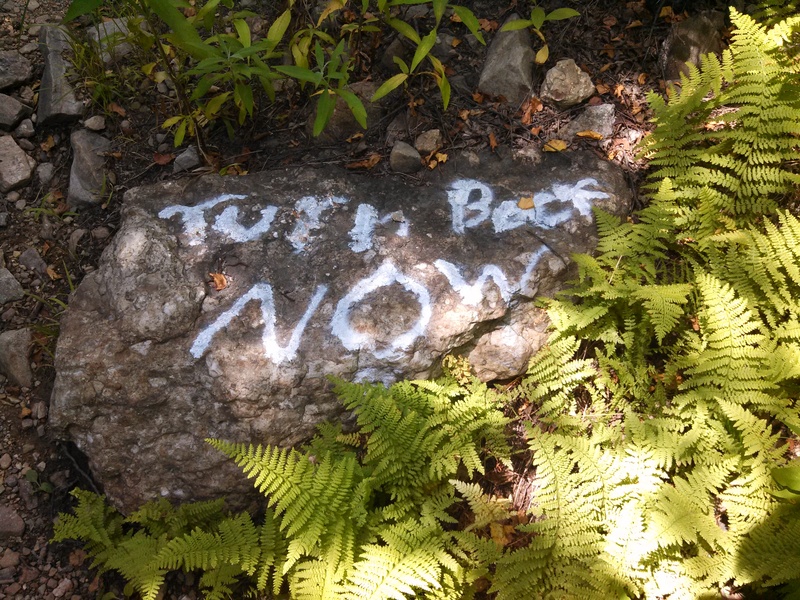 Those Northbounders made it to Maine somehow, and it wasn’t just sheer obstinacy. What are the things in PA that kept us going? What got us through the middle state? 1. The People – I still maintain that the people in Pennsylvania were the friendliest people on the entire AT (and maybe the world). For a 2189 mile trail that is almost entirely volunteer maintained and crawling with trail angels, this says a lot. The Trail Magic was amazing. 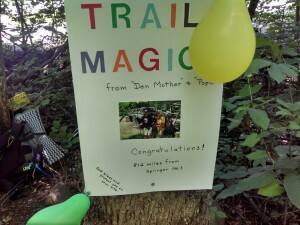 We had numerous days where we came across what can only be referred to as a ‘Trail Magic Station’ where a group of trail angels actually camped out to deliver delicious food to us. For all of my whining about no water in PA, we almost never struggled to stay hydrated because there were dozens of jugs of water at every road crossing, left by locals. 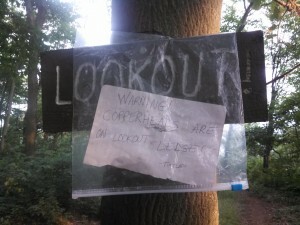 We also found coolers full of icecream and soda in some spots. People actually stopped their cars when they saw us to yell supportive messages. People took us in to their homes and cooked us steaks. Old people smiled at us. We received looks of adoration in restaurants. 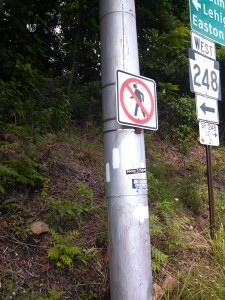 By the end of the state, I half expected there to be a hiker parade at every road crossing. 2. The Beer – PA has some of the strangest alcohol laws in the US, but that doesn’t stop it from supplying great brews. 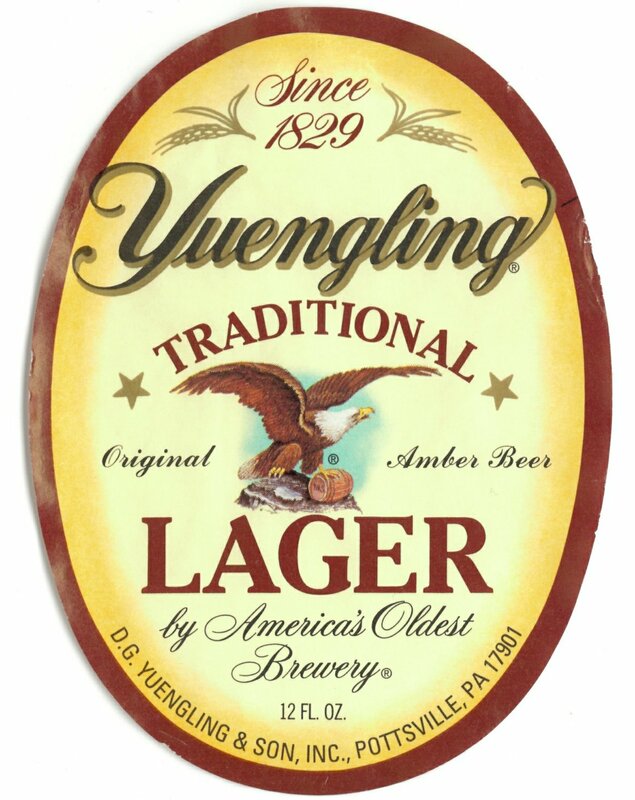 Yuengling, the most classically drinkable beer in the hiker price range (hovering slightly above ‘free’), is on tap everywhere. And although you have to buy your six packs at the bar instead of the store, you will soon discover that the pricing for a pint is almost as cheap as buying the bottles, leading to a lot more socializing at the bar. 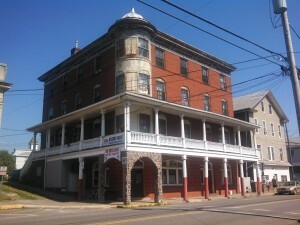 In PA, the bar was pretty much the meeting hall for a town. It created a festive environment where we felt welcome whenever we entered one, and extended a feeling of hospitality towards travelers. Multiple bars in Pennsylvania let us tent right behind them (probably a wise decision by management based on how much alcohol we felt at liberty to imbibe) and take advantage of their incredible breakfasts in the morning. Sleeping behind the bar was a high point for us! 3. 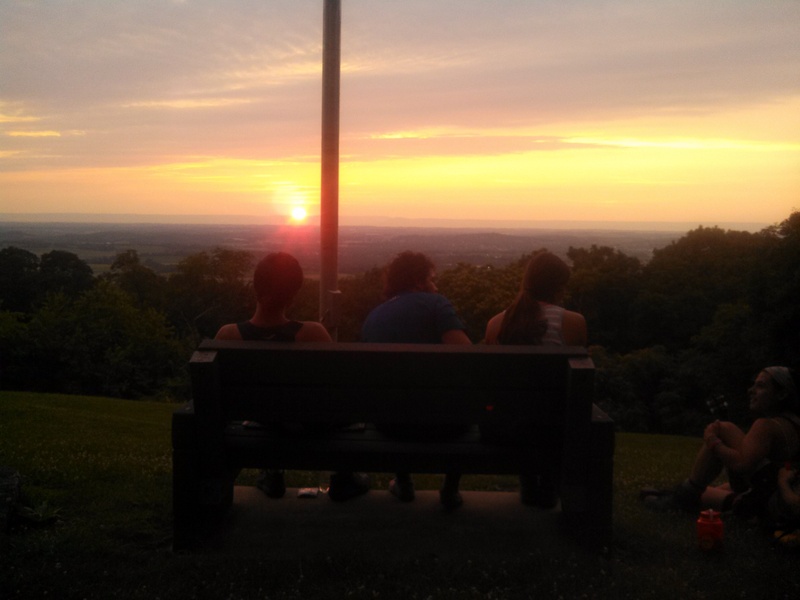 The Rock-Bottom Prices – Hiking through Pennsylvania is a little bit like traveling in South America; food is unreasonably cheap. 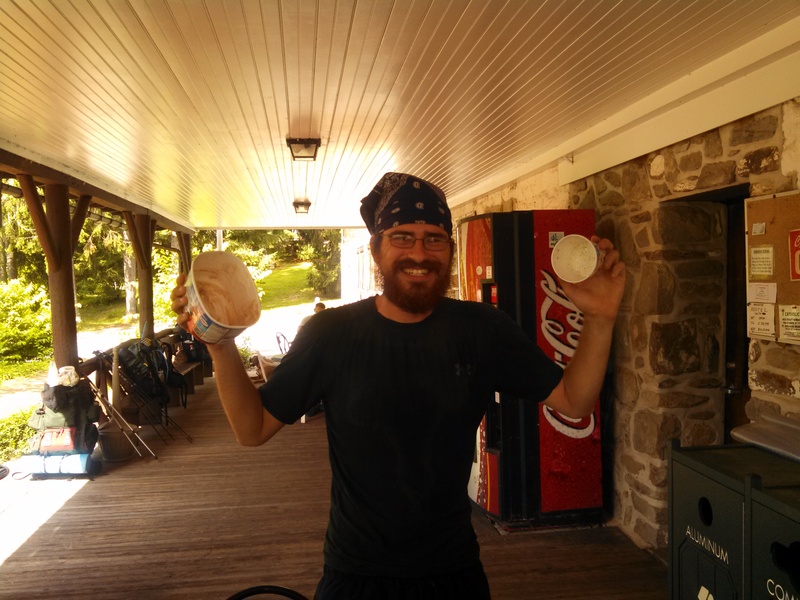 This makes PA a paradise for hikers, whose primary question regarding what they put in their mouth is ‘how many calories are in it?’ followed by ‘is it edible?’ This goes for the restaurants as well – Huge portions, low costs, and no Montezuma to exact revenge on you. 4. 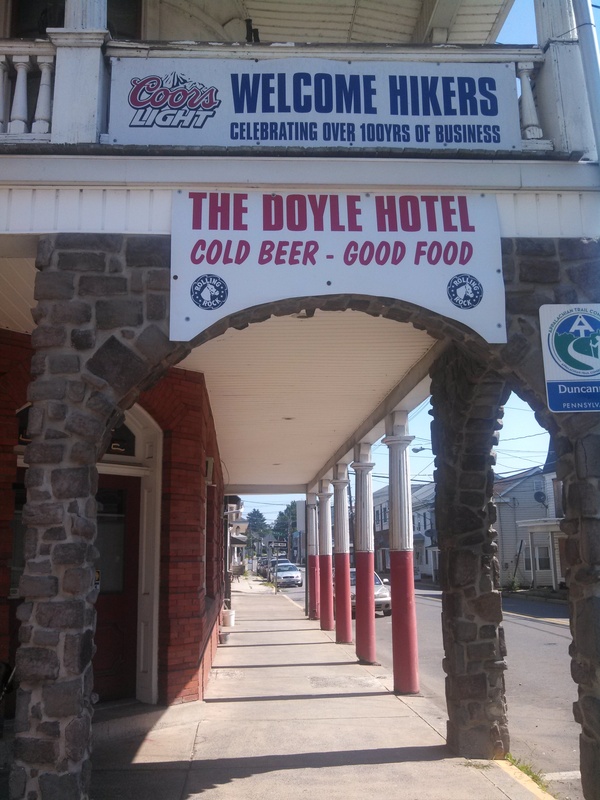 The Doyle – well, clearly this staple of PA hospitality has to be mentioned. Dilapidated, dirty, chaotic, and actually leaning to one side, the Doyle should have been condemned when Mt. 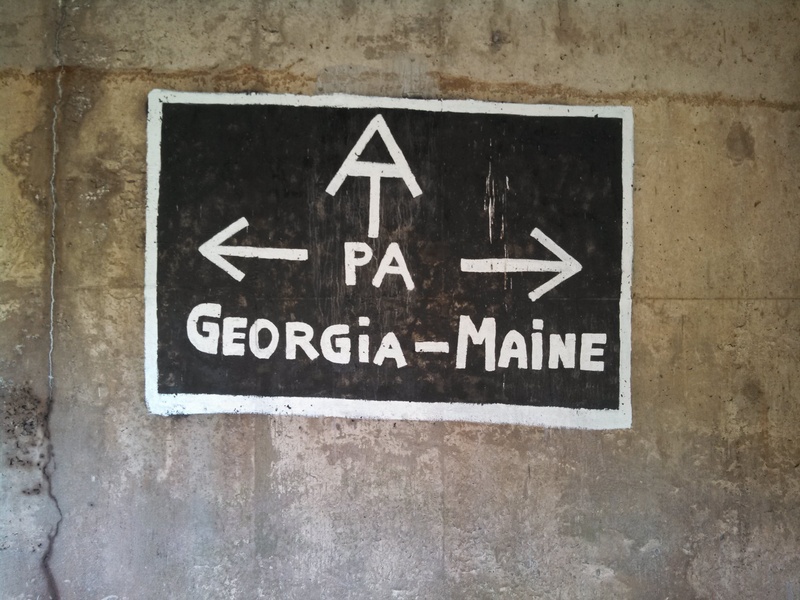 Oglethorpe was the southern terminus of the AT, but instead is still stands and welcomes hikers with open, crumbling arms as the most appropriate welcoming committee that PA could ever ask for. “So how many times have you hiked the Appalachian Trail then? Many hikers will go as far as to say it’s not a thru-hike if you don’t stop here to get a drink, a giant hamburger, and a bit of sass from Pat and Vicki, the owners. And for 25 bucks a night, you can’t really complain about the fan in your window running only because its wires are spliced together with the wires in an empty light socket. 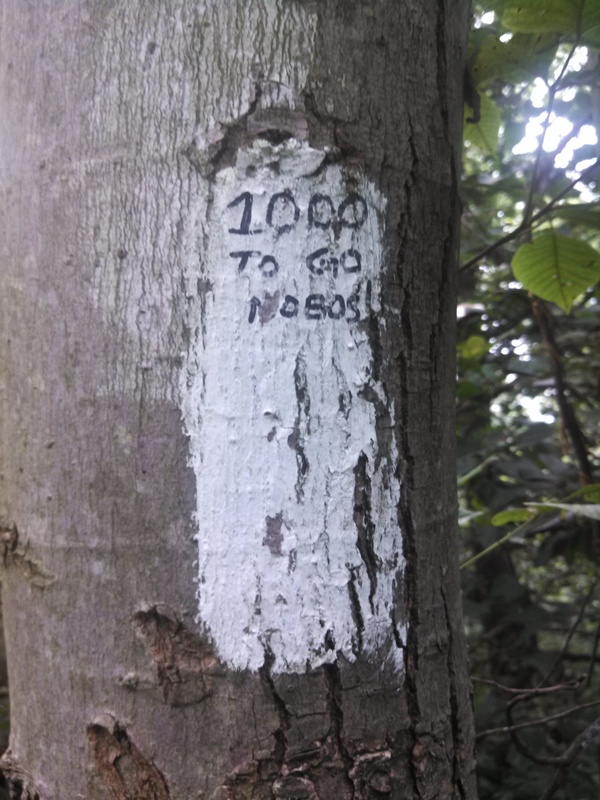 Later, as you crawl over scalding boulders covered in unknown rashes, you will still be laughing about the accidental zero you took in Duncannon, that beautiful underdog of trail towns. And even later back in your cubicle, you will be dreaming of this archway. Oh, nostalgia! 5. The Gritty Cred – come on, don’t you want to say you did it? Someday you’ll probably have grandchildren to impress. 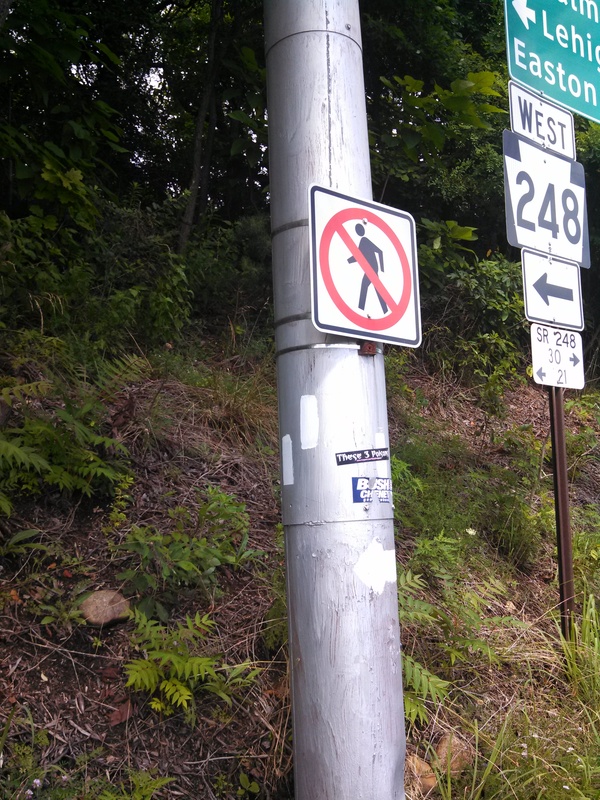 When they ask you about hiking the AT, do you want to show them pictures of the scenic boardwalk in New Jersey or the daunting hellscape of PA? Northern Pennsylvania is the hazing ritual of the AT. It establishes that you really are a thru-hiker. 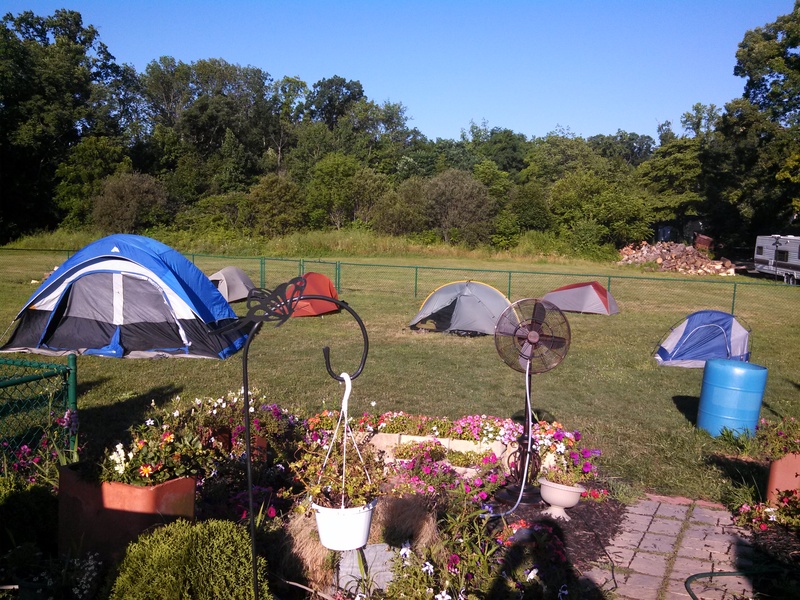 You have earned your Pennsylvania merit badge with a trial by fire. Making it through PA is like making it out of a burning building – it’s kind of cool to talk about. 6. 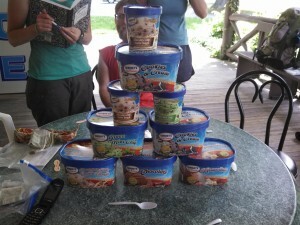 The Ice Cream – Home to the half-gallon challenge, Pennsylvania has a legacy of hedonism to uphold. Don’t miss out on your chance to digest a truly disgusting amount of dairy fat while you visit the nearby AT Museum to look at the ‘gear’ Grandma Gatewood carried during her many cross country walks. For those who don’t know the extent of our masochistic thru-hiker traditions, the challenge is a battle between a thru-hiker and a half gallon of ice cream. 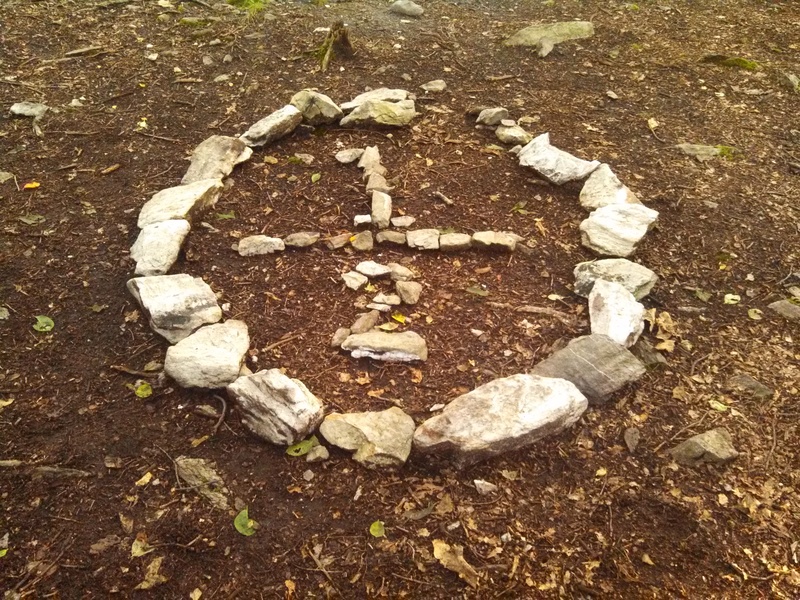 A famous hazing ritual of the AT, it is simultaneously one of the best and the worst days of the trail, and it takes place, of course, in Pennsylvania. But hiking in PA is not all bad. Maybe the views are few and far between, but there is a lot of hidden beauty in the state that we dismiss because it gets bookended by rattlesnakes and graffiti. There are panoramic views of bucolic farm scenes a thousand feet below Wolf Rocks, Bake Oven Knob, Pulpit Rock, and many other hidden viewpoints. And something needs to be said for the fact that, rocky or not, your terrain is flat. You will be able to do twenty mile days through most of PA. Will it be the best experience of your trip? No. Will you be able to hike from bar to bar? Quite often. Does that help? Yes. 7. Last but not least: the Solidarity – this is the state where we met and solidified the group of friends that we would summit Katahdin with. We are still in touch with the people we met and suffered humorously with in that furnace of a state. Once you’ve been through PA with someone, you are friends for life. The truth is that Pennsylvania is not that bad. The rocky sections are bad only in the Northern part, the heat will pass, and most hikers experience no worse than a few bug bites, a busted pair of boots, and maybe a hangover upon leaving. Our packs weighed less in this state than any other on account of the frequent opportunities to resupply and looking back, we had a lot of fun. So why do people complain so much about PA? My answer is because it is mentally hard to be in the middle of a trip. In Pennsylvania we hit the middle of the road, and in the middle of the road every rut looks like a crater. Every small obstacle casts a shadow ten times its size. Monsters like fear and doubt and apathy hide in these shadows and they can make a few rocks seem insurmountable. 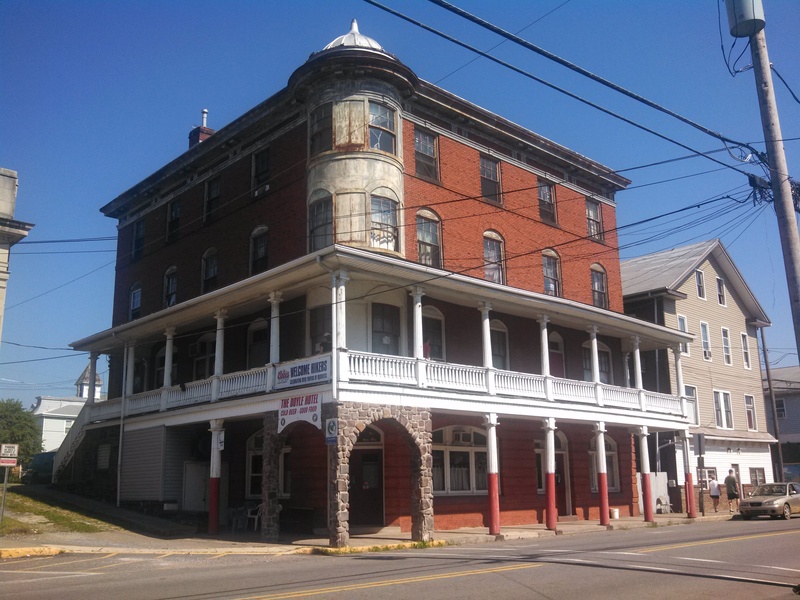 So in the great state of Pennsylvania, “where boots go to die”, let yourself, giant backpack and all, be the only shadow you see cast by that white hot sun, walking in front of you and always larger than life. Enjoy this post? 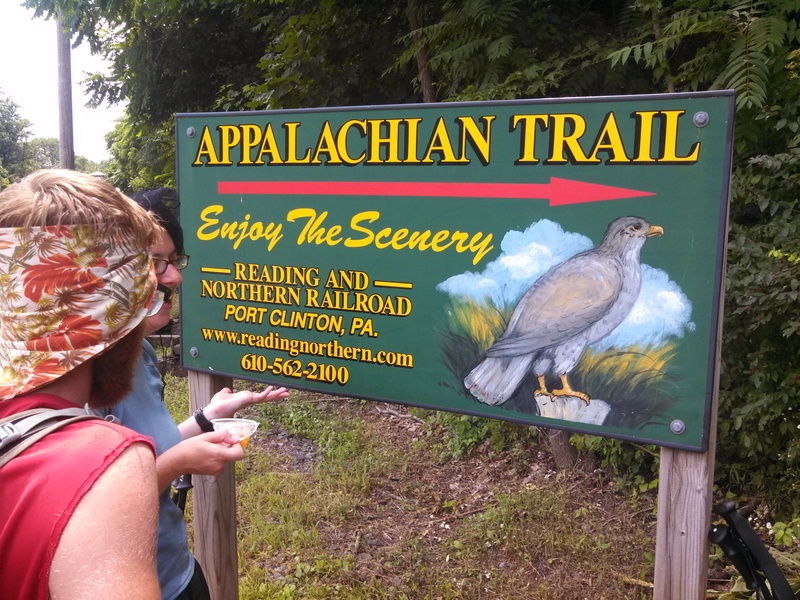 Join the Appalachian Trials newsletter to be the first to get the best surrounding the AT. Great information! I have a suggestion for those biting gnats — sunscreen! It’s worked for me in North Carolina and in Vermont. Not sure if all brands work but Banana Boat brand (sold everywhere) works great. 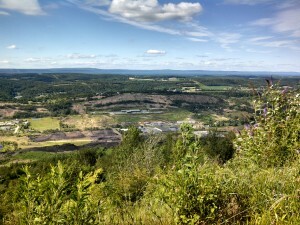 It’s a shame that this part of the trail is so bad when PA has so many great hiking trails to offer. It will get a bad reputation from this but is a very beautiful state – hike off-trail. Just didnot like not able to bathe like I’m use to. 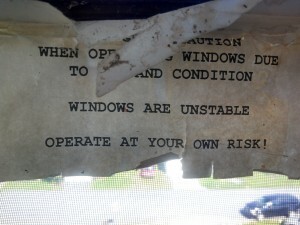 At the time the bugs were trouble some. No problem with wild animals. A deer or a hawk , rabbit. 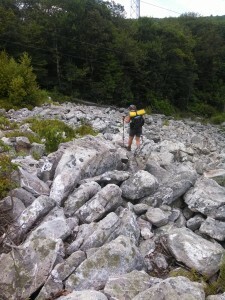 I have always thought about hiking younger days / mountain biking now at 55 the AT and with this information from hikers experienced along the AT , I have a plan for a trip but, have to skip the northern Pa AT trail , hopefully picking it up at Easton north to Maine would be my direction. 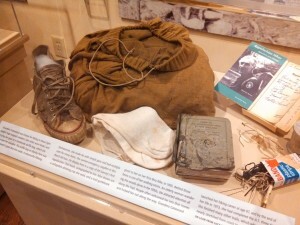 ..
Great article or Greatest Article on Hiking Ever? Bra-vo. This weekend 10-Sep 2016 what are the chances we’ll find the spring dry below Peter’s Mt shelter? Thanks, Maggie! Very well written! Maggie a great page. I thoroughly enjoyed it. I grew up in PA in the southwestern part. 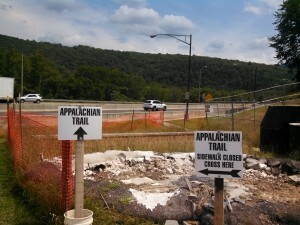 I am planning on hiking the AT through PA and came upon this article. Loved it. I encourage to share more about your adventures and insights on people and places. 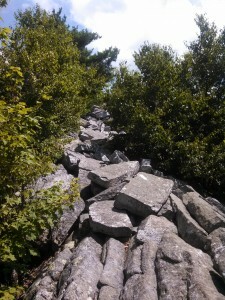 August 2 I did the Bake knob mountain hike over the 1 mile of rocks and boulders with a friend. Not a hike but an obsticale course of endurance. It was on my bucket list as I just turned 73. Welcome beer when we got down. Got back just before a thunder storm which we heard starting when we were on the top. It seems to me that one of the points of the article is that the PA AT is unpopular because it is not an easy hike. It is challenging, not because of elevation changes but due to the foot path itself. But, if you are tough enough to be a through hiker, a rough trail should be a walk in the park, especially if you have walked a thousand miles to get there. 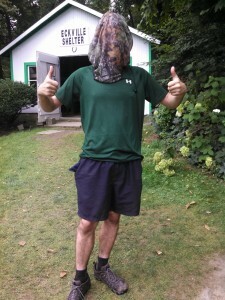 I enjoyed reading this blog about hiking in northern Pa. I still have about 40 miles to go between Port Clinton and Delaware Water Gap (hiking Pa in sections). 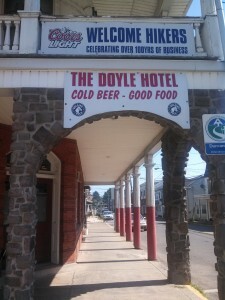 The Doyle Motel was certainly a treat. 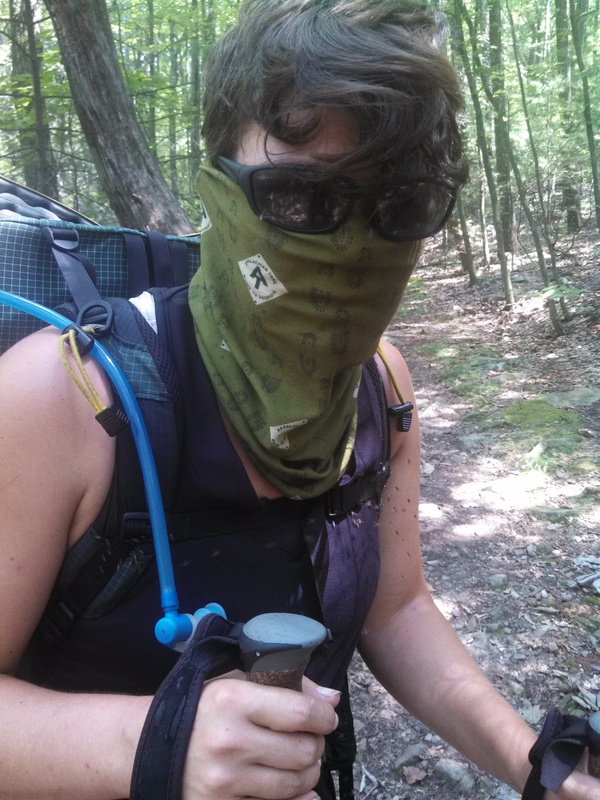 The rocks, the snakes, and the yellow jackets haven’t been so much fun.However, ost of the AT seems to be a challenge-there aren’t that many easy sections.